© 1992 Martial Arts Illustrated. Martial Arts Illustrated, May 1992 (U.K.). 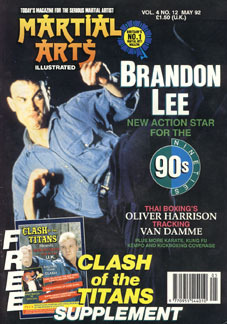 "Brandon Lee New Action Star For The 90s"